Percebe-se imediatamente aquilo que nos espera, logo à primeira faixa: ouvem-se vozes, assobios, numa espécie de coro call and response, dialogando ou, melhor ainda, duelando entre si. E depois há saxofones, guitarras, contrabaixos, canto, spoken word sem serem amálgama. Cabe de tudo, porque todas as estradas servem para chegar até ao destino ou, pelo menos, para apreciar a viagem. Assim é este disco do projecto Trondheim EMP, que na verdade é dois: Poke It With A Stick, experiências atrás de experiências e retalhos atrás de retalhos, e Joining The Bots, que se apresenta mais coeso e definido – a isso atestando, também, o facto de as peças que o compõem serem maiores. A ideia de base de um e outro é, pelo que percebemos, a comunicação entre os músicos presentes, que parecem estar sempre dependentes daquilo que fazem primeiramente os seus colegas – as acções de um influenciam o som de outro, conforme é explicado. Theodor Adorno and Ernst Bloch discussed the problem of utopia as a possibility in a heated debate they produced in 1964 and later published in the book The Utopian Function of Art and Literature. It is in this context that Bloch launches the notion of “something’s missing”, to seek to configure the utopian possibility. It is also from this notion of Bloch that the possibility of thinking and forming forms the whole utopian revolutionary essence that presides over emancipatory developments. This “before” is decisive for the understanding of the idea of revolution. It is here that the necessary possibilities are produced and, above all, the utopian aspirations of fracture and change. The Blochian “something’s missing” leads to the emancipatory idea from that place without place that is utopia. Or, putting it another way, it powers the immensity of thought without limitations. The revolutionary effervescence of the before is, perhaps, the most essential condition in the approach to the idea of revolution. Exactly because it does not come across any limit, because it is located in this place without place. But it is from this realisation that we can deal with the power of free thought, with the immense intentionality of this missing something which, being above all a naturally porous and cloudy thing, offers itself to the immense beauty of total openness. It will be there, in the dematerialised embodiment of free thought, that the whole process develops and is also in the possibility of art as a place of freedom (another place with no place that exists only between the artist and his work in a utopian dimension) it has its approximate representation. Pulse tone waves are frequencies embodied in a pulsar that is at the same time decisive for all humans and, metaphorically, for the revolution. Feeling the pulse of events, of agitation, of breaking, is essential for the revolutionary moment. It is this kind of continuous auscultation that determines success or, rather, the inversion of the whole emancipatory movement in the process of pragmatic transfiguration which, by obvious ineffectiveness, becomes implosive. The pulsations of events thus assert themselves as a decisive engine, and yet, in the face of the weakening of the utopian drive in its inevitable collision with reality, everything changes. The passage from one moment to the other brings with it the presence of the now and the consequent structural modifications that the utopian impossibility needs to maintain itself as an emancipatory impulse. It will then be in the programmatic transfiguration of the revolutionary event that its pulsation is played, more or less strong, but never absent. The decisive clash also affirms the reality, stripped of all the romantic drive that forms the revolutionary utopia. The fracture induces realism, and this is never the dreamed face of emancipation. We are told in the last book of the Invisible Committee that “All the reasons for making a revolution are there. There is none missing. The wreck of politics, the arrogance of the powerful, the reign of the false, the vulgarity of the rich, the cataclysms of industry, rampant misery, naked exploitation, the ecological apocalypse … do not deprive us of anything, not even being informed of this. ‘Climate: 2016 beats record of heat’ says Le Monde in its main title, now already like almost every year. All the reasons are met, but not the reasons that make revolutions; are the bodies. And the bodies are in front of the screens.” Right. Note: At a certain point in Giorgio Agamben’s book The State of Exception, he refers to a determinant question: the point of view that, in this context, is determined by a legal order that requires recognition by another that opposes it. Quoting Italian jurist Santi Romano, he says: “… after having recognized the anti-legal nature of the revolutionary forces, he adds that this only works in this way in relation to the positive law of the State against which it is directed, but this does not it means that, from a very different point of view, from which they define themselves, it is not a movement ordered and regulated by its own right. This also means that it is an order that must be classified in the category of originating legal systems, in the sense that is attributed to this expression. In this sense and within the limits that have been indicated one can therefore speak of a right of revolution.” That is to say, still in Agamben’s view, that the idea of state legal ordering is the only one, by effectively opposing what is usually called chaos, is first and foremost reductive and fallacious. One thing, however, is correct: all the mental structuring concerning the duality exclusion vs. inclusion simply depends on the point of view. And this is perhaps the most important point to make clear the relationship that is intrinsic and impossible to conceal, first of all, because it is also the source of the essentiality of the politician, that is, the necessary verification of antagonism. It is, therefore, the place where we want to be. It is entirely indicative of the calibre of those involved, that Trondheim EMP manage to do something that is so often done terribly, so remarkably well. Regardless of a listeners’ particular fondness for the types of sound they produce, there is no denying that the group is comprised of an extremely proficient membership, a fact that, more so than perhaps the confines of the research project upon which they are working, underscores the album as a whole. There are several strings to Trondheim EMP’s bow. On the one hand, it is an album of semi-improvised, ultra-collaborative free-jazz and contemporary composition, with an almost ritualistic take on its subject. On the other, it is the sonic output of an academic research project exploring ‘cross-adaptive processing as a radical intervention in the communication between performing musicians’. Cronica have put together a pretty in depth press release, which impresses by virtue of both the interesting concept, and the aforementioned calibre of those involved – a quick scan of the personnel reveals luminous figures such as Øyvind Brandtsegg, Miller Puckette and Simon Emerson attached to the project. 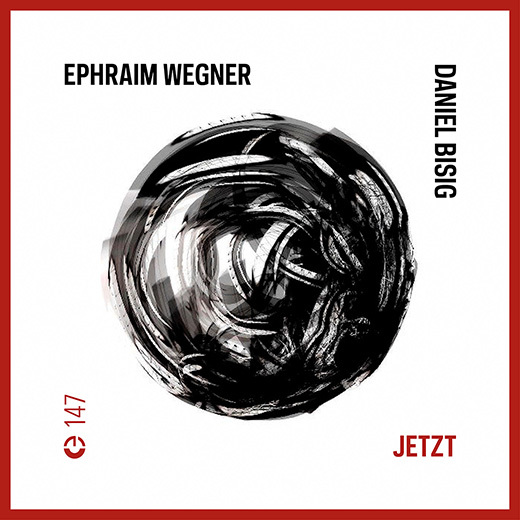 Musically, the group harness a range of influences and styles, invoking both the more esoteric composers of the Darmstudt school – in particular the likes of Kagel / Stockhausen – and the slightly saccharine, cheesy end of free jazz. Whilst we are not dealing with anything resembling ‘traditional’ or even ‘popular’ music, there is no small amount of bass licks and saxophone squeaks such as has become synonymous with a certain genre. 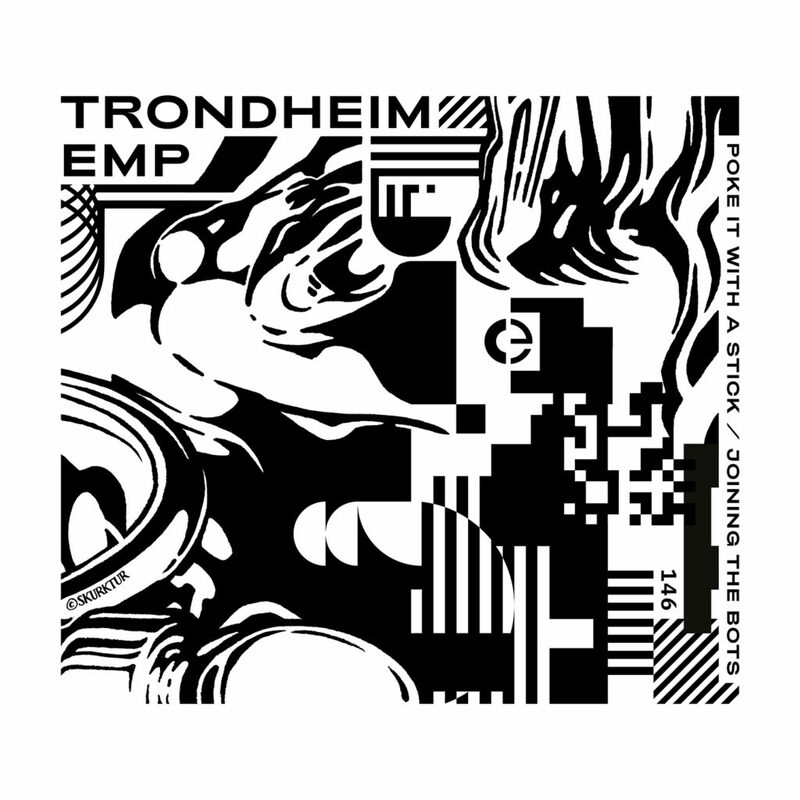 To temper this, Trondheim EMP toy with a darker, murkier edge, pushing their collective machination in to the arena of doom-jazz – indeed, certain moments of certain tracks wouldn’t feel entirely out of place on a Kilimanjaro Darkjazz Ensemble record. For all the focus on group dynamics that the system presumably promotes, it is the quieter, sparser moments in which the album shines. Subtle, bubbling textures and a more considered approach to extended vocal techniques are revealed whenever the collective pull back enough to allow it, and, it is then that I hear, or at least think I can hear, the nuance of the performance system they are exploring. 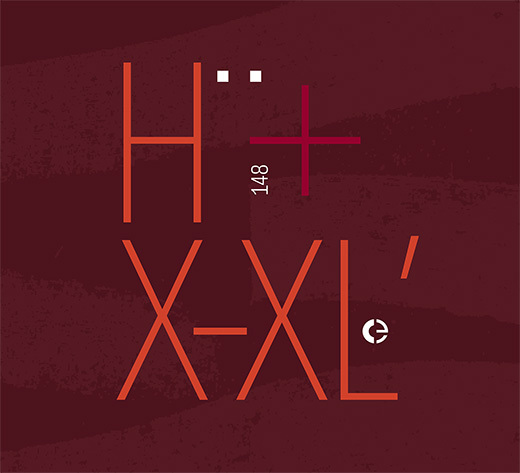 Tracks such as ‘Heavy Meta’ utilise droning, ambient tones played alongside sporadic drums, demonstrating an intriguing synergy between its players in the process. Likewise, the genuinely bonkers ‘Synchronise your Dogmas’ is part vocal drone, part post-punk, weaving potentially desperate elements together to form an intense and unusual experience. Whilst there is a great deal of interesting music on offer, the project is perhaps slightly hampered by the sheer volume of its output. Consisting of two albums – the first more abstract, the latter more structured – the whole affair clocks in at over 2 hours, and it would be reasonable to suggest the quality fluctuates. Whilst there is a great deal of innovative and exciting music therein, it does occasionally veer into areas that are a little tired, perhaps even incongruous. Extended vocal warbles, and some borderline offensive bass-lines, whilst they may assist the exploration of the system as a whole, dampen the overall experience, reducing the power of some of the more refined, amorphous elements. Ultimately, it feels there is a sublime 50 minute album here, buried amongst another hour or so of stuff that, though largely very good, sometimes repeats the ideas on display and feels somewhat less urgent. Put on the circuit via the Portuguese Cronica-imprint only recently is “Unwritten Rules Of A Ceaseless Journey”, the latest album collaboration by Haarvöl and Xoan-Xil Lopez which consists of three, each 15 minutes spanning tracks which were commissioned works for a theatre piece named “Revolucoes”. Opening with “Something’s Missing (Utopian)” the artists pave the way for things to come, providing a nervous, brooding journey into cold’ish Dark Ambient before progressing into calmer, spaced out territories with this one. The follow up “The Pulsating Waves (Reality)” keeps things on a near static, slowly evolving level of droning Deep Listening Music before “Don’t Look Back, Run (Trauma)” continues on a path of calm desolation and darkness, resembling the greyscale tristesse of a postapocalyptic, and maybe not too far away, future in which only the remnants of the nuclear fallout provide movement on otherwise empty streets, covered by poisonous and deadly dust particles lit by a pale moon. Fernando José Pereira en João Faria zijn sinds 2014 de kernleden van de Portugese groep Haarvöl, hoewel er dikwijls gasten aanschuiven voor de muziek dan wel beeldmateriaal. Voor dat laatste mogen ze nu steevast rekenen op Rui Manuel Vieira. Ze maken veelal een grofkorrelige mix van drones, glitches, veldopnames, ambient en allerhande experimenten. Voor hun nieuwste album Unwritten Rules For A Ceaseless Journey werken ze samen met de Spaanse muzikant Xóan-Xil López, die doorgaans met veldopnames en experimentele muziek werkt. De drie langgerekte stukken van elk een kwartier, die ze hier presenteren, zijn gecomponeerd voor dans, in opdracht van Ballet Teatro voor het toneelstuk “Revoluções” (revoluties) van choreograaf Né Barros. De drie composities staan voor het verleden, heden en toekomst. Die noemen ze op de cd overigens respectievelijk “Trauma”, “Reality” en “Utopian”, hetgeen ze tussen haakjes achter de titels van de nummers plaatsen. Ze brengen een broeierige mix van drones, experimenten en ambient, aangedikt met diverse veldopnames. Hoewel de muziek behoorlijk duister en abstract is, weten ze je genadeloos mee te sleuren op een biologerende trip, waarbij heel veel te ontdekken valt in hun intense geluidsbrij van hoge viscositeit. Je moet het daarbij ergens zoeken tussen Orphax, Celer, Philippe Petit, Machinefabriek, Jasper Tx, Svarte Greiner en Kreng. Een geweldige en indrukwekkende muzikale reis, waar je (inderdaad) onophoudelijk naar wilt blijven luisteren. Een schitterende soundtrack voor de nacht, verval en andere duistere zaken. Klasse!